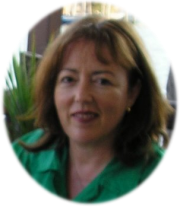 Evelynne Joffe has been teaching the Kabbalah in Melbourne for almost 20 years and is a recognised writer and lecturer on the subject. A beginner’s course of one year is offered face-to-face in Melbourne. In addition, there are optional advanced groups, although the majority of students choose to continue with their work in this life training. Evelynne also offers her highly-regarded Kabbalah course for beginners in distance mode through Global Spiritual Studies. Watch the video below for an overview of the first part of the course which covers the sephirot. Click here for more information and to purchase. Regular weekly meditation classes are also held in Melbourne for those who have studied the basic course. Anyone who has attended Kabbalah classes in Melbourne with Evelynne Joffe is entitled to a 10% discount on the price of the basic course available on DVD through Global Spiritual Studies. This is an excellent way to refresh your memory of what is covered in the course. You can opt to download the 28 video recordings or receive them stored on a DVD or USB flash drive. Email evjoffe@gmail.com to take advantage of this special offer. Click here for information about the course. the basis of all of today’s Western mystery traditions. Kabbalah is a training, a way of life, a way of personal development and an aid to understanding our relationships with others. In these classes, held over four terms, students will focus on individual development and self-awareness. 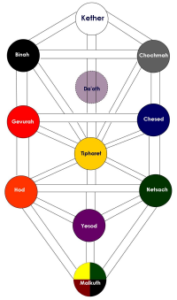 The year will be spent learning and understanding the Tree of Life, the glyph or map of the Kabbalah. Students will work with the spheres, or sephirot, on the Tree to understand how they can be used as a map of consciousness and spiritual awareness. Once the sephirot are understood, students will move on to more advanced and subjective work in exploring the 22 paths of the tree that link the sephirot. These paths represent the experiences we all undergo in transferring awareness from one sephirah, or facet of individual consciousness to another. This will give the student, at the very least, a greater understanding of human relationships, an idea of how to achieve more balance in life and an ability to focus on priorities. Use will be made of symbols and myths, as well as basic teachings on the esoteric meaning of the Hebrew alphabet which is a vital part of the teaching of the Kabbalah. The letters will be placed on the Tree of Life and studied together with other relevant symbols. This is an immensely valuable course, designed for the beginner, with a psychological rather than religious emphasis. Reading is encouraged and a reading list will be provided. The next Beginner Kabbalah course starts in February 2019. Please email evjoffe@gmail.com for details of venues, costs and registration.